Many children, especially latch-key kids who must fend for themselves while one or both parents work, suffer from loneliness. Some have it worse than others. I can relate, having endured years of loneliness as a child. While I’m not a trained child psychologist, some of the basic habits I used to overcome loneliness may be helpful to parents of lonely children, as well as to the kid themselves. By all accounts, I was a lonely child. My older brother, usually charged with watching over me, couldn’t be bothered to play as we were separated by four years. It might as well have been 10, for his friends teased him about babysitting his sister and his interests were far different than mine. With no other kids in the neighborhood my age, this generally resulted in me spending hours by myself. I envied my brother’s many friendships and how happy he seemed to be when around them. I wished desperately for someone to play dolls with me, to cook on my Easy-Bake oven, to build marvelous creations with Legos or Lincoln Logs, all to no avail. My parents both worked and when they were home, there were chores to do, dinner to prepare and dishes to clean afterwards. I helped as much as I could, yet I was mostly in the way of getting the meals to the table on time. This made me feel left out and didn’t help with how lonely I felt all the time. Little did I know that some of the daily activities I took for granted would greatly assist me in becoming more externally-motivated and less prone to dwelling on how sad, depressed and lonely I felt. A bright spot for me turned out to be reading. My love of the written word began early as my mother read to me every evening, no matter how tired she was and how much laundry or other tasks remained to be done before she could rest. I loved the colorful photographs in these books and remember vividly the wondrous tales told by L. Frank Baum in The Wonderful Wizard of Oz and other chronicles, The Little Prince by Antoine de Saint-Exupéry, and a host of other books. I started reading books on my own before age 5 and my mother took me to the public library once a week to borrow several to keep me occupied for the next seven days. I quickly graduated from typical children’s books to ones with fewer pictures and longer chapters. I read through complete series, several genres at a time, always eager to see what was new at the library. What reading did for me was open me to new worlds. I identified with the characters, their challenges and journeys, their triumphs and heartbreaks. I wasn’t alone any longer, now that I had a repertoire of favorite characters. My strong recommendation is that parents today adopt the practice of reading stories to their children. The earlier this habit begins, the better it is to help develop the child’s imagination, foster a sense of self-empowerment and discovery, and a willingness to try new things. It doesn’t take a great deal of time, either. Just 15-20 minutes a night on a consistent basis will work wonders. Research also shows that curiosity helps children become better at math as well as reading. This is a win-win. I became an expert at play almost when I began to walk. As a young girl, I had several dollies (my word for my little companions). I’d dress them in various outfits for activities we’d do and little excursions we’d take. The occasional mishap, where a head or limb would fall off during tree-climbing or other strenuous pursuits, didn’t faze me. My dad was, among other things, an expert carpenter. He could literally fix anything. I know. I watched him do it. How, though, did playing with dolls help me overcome loneliness? For one thing, I developed the art of casual conversation, talking with my little charges as if they were human. I even spoke their responses so that everyone both participated and got their turn to say what was on their mind. Naturally, this jumpstarted my imagination, as every day the girls (all my dollies were girls) wanted to experience something new. We had tea parties, played hide-and-seek, picked wildflowers in the field behind our house, sampled strawberries and blueberries from our truck garden and got dirty weeding and picking off caterpillars and other insects clinging to the vegetables. Lots of girls, and some boys, still like playing with dolls. Whether they’re Barbie and Ken or Wonder Woman, Superman or some other action hero toy, such play stimulates curiosity, enriches the imagination and pushes the boundaries inherent in isolation. Besides, if your children do have friends, it’s wonderful to take the dolls on a little road trip to play with other dolls. This is a childhood pastime that never seems to go out of style, for good reason: it works to keep children amused and occupied with healthy activity. Our family was modest of means when I was growing up. I didn’t know this, however, until it came time to buying a new toy or dress or something I fancied for Christmas or my birthday. My mother was the one to let me know we couldn’t afford the most expensive item, although she usually cloaked that disappointment with an acceptable substitute. She’d help me make a new wardrobe for my aging dolls, or she’d take me to the sewing center or fabric store to let me pick out ribbons for a new sash to freshen my dress, or other items for my hair. She encouraged me to make what I wanted as well, whether that meant fashioning toy cars from cereal boxes or constructing buildings and houses from leftover cardboard, bits of wood my dad gave me, using twigs for trees and flowers for bushes in the communities I fashioned at the side of the house. To an adult, it might have looked like a mud pile or merely an odd arrangement. My parents, however, knew these were my creations and told me how creative my designs were. Thus, began my lifelong interest in making things, seeing how to extend the life of items, transform them into something new and useful. It was also a trait that others found helpful, and I soon had friends who wanted to make stuff with me. Instead of automatically replacing what’s broken, out of style, a little threadbare or cracked, encourage your child to figure out ways to redeem the item. Recycle various parts, give them a coat of paint, regard them as trusted family members worthy of respect and friendship. This helps your child develop problem-solving skills, discover talents they didn’t know they had, and instills a sense of pride and self-accomplishment. Besides, knowing how to make things is a skill they’ll use the rest of their lives. People gravitate toward those who can be so self-sufficient. Another habit I cultivated early was being outdoors. My parents made it a point for their two kids to spend time outside, no matter the weather or season. While we didn’t know they needed alone time, we didn’t need any prodding to scurry out to play. My brother, of course, raced off to be with his friends, while I had plenty to do with my village creation, picking wildflowers, walking the cat on a leash (he didn’t much care for that). There was sledding and ice skating in the winter, making leaf houses in autumn, and so much more. Since there was a city park adjacent our house, I got lots of exposure to nature. Plus, families picnicked in the area and I was often invited to play with all the kids they brought along. Even though I might never see them again, we had lots of fun. It’s a memory I treasure today. My parents could see me from the window, so I was never far away. I also knew to stay within calling range, so I’d be on time for dinner. Granted, things were much safer decades ago. People were more trusting, and trustworthy. Still, outdoor activity and leisure pursuits are excellent ways to banish loneliness. Go for walks in nature with your children. Take vacations to visit state and national parks. Go to amusement parks, zoos and wildlife habitats with them. How can you be lonely when you’re able to witness such abundant life, the riches of nature? In addition, you’ll be helping your kids to appreciate what this world has to offer, and love of being in nature is a healthy habit they’ll likely pass on to their children as well. This entry was posted in Life, Loneliness, Nature, Parenting and tagged childhood loneliness, help your lonely child, how to help your child overcome loneliness, lonely child on August 13, 2018 by 15893608. After missing a few deadlines and failing to accomplish more than one pressing task, I embarked on a mission to teach myself how to remain focused – despite the lure of incessant distractions around me. Maybe some of the tips I’ve discovered that worked for me will help you find focus as well. No, this isn’t a recommendation to go sit in a corner as punishment for bad behavior. On the contrary, when you opt for a personal time-out, what you’re doing is opening space to clear your mind and allow focus to return. I find that taking my time-out is most useful when I can feel my heart rate increase, my breath becomes shallower, and I sense the pressure of not enough time to get something done. In fact, it’s at these times that taking a pause is the best way to address digital distraction overload – literally. During a personal time-out, it’s important to do nothing. That means no multi-tasking jotting notes, listening to TV news, reading emails, posting on social media, doing laundry or whatever. Put aside everything else and be in a quiet place where you can let your mind go blank. I like meditation, although yoga is also a great practice to utilize. As difficult as this may be for always-on-the-go and ever-connected individuals, stopping the whirlwind distractions for a short time is the only way to calm the noise and regain balance, equilibrium and sense of well-being. Trust me, after some trial-and-error, you’ll find this technique works. When you return to your day, you’ll likely be better rested and even find solutions or answers to problems or questions pop into your head without effort – almost as if they only needed the space to come out and be noticed. The joke about family disconnection that’s not funny is played out daily in homes throughout the country. Mother, father and kids are at the dinner table and everyone’s on their smartphone. Communication between family members is often via text – while in the same room, ostensibly sharing a meal! Talk about lost opportunity for family bonding, parents and children sharing their day’s experiences. This entry was posted in Choices, Focus, Life, Meditation, Parenting, Self-Discipline, Well-Being and tagged Focus, Focused, How to Focus despite distractions, How to Remain Focused on July 29, 2018 by 15893608. Should You Ever Tell the Whole Truth to Your Kids? 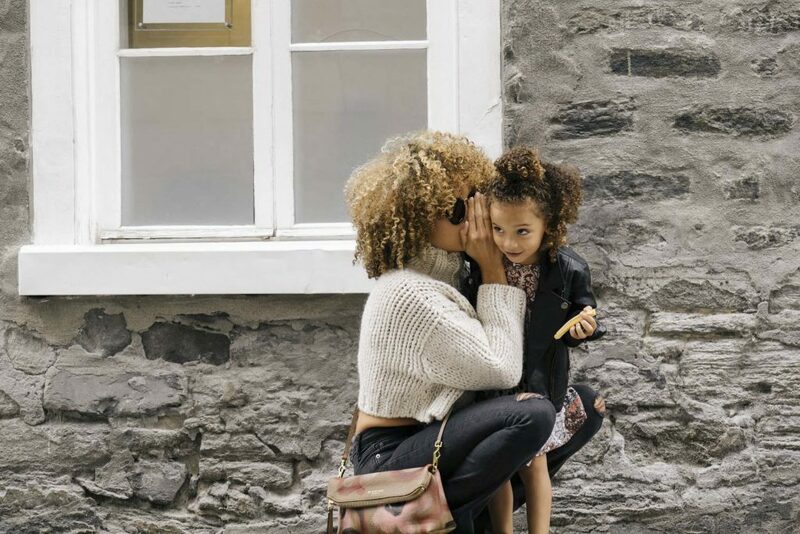 Parents unquestionably have a big responsibility raising children, but they often find themselves unsure how much of the truth to tell their kids. I talked with Dr. Anita Gadhia-Smith, a Washington, D.C. psychiatrist who counsels individuals, couples and families to get her thoughts on the topic. Whether it’s ever OK for parents to lie to their kids, it really comes down to using good judgment. When one parent unloads all his or her emotional anguish on the kids, perhaps over a divorce, separation or break-up, it could signal trouble? This could very well be too much of an emotional burden for the children. Dr. Gadhia-Smith offers clear advice for parents to avoid such an inappropriate emotional dump on their kids. If you’re going through a separation or divorce, Dr. Gadhia-Smith says it is best for everyone involved if each person has their own support system outside of the family. What truth should parents tell their kids about the decision to divorce? Is saying, “Daddy is going to be travelling for a while” not a good approach? What is better? Does it depend on the age of the child how much of the truth the parent(s) tell? But don’t just blurt out the facts to get it over with. Use caution and a little finesse to do this right. “It is important to take the time necessary to help the child understand what divorce means, and that there will still be a family (if at all possible),” she says. “The child needs to understand that he or she is not being divorced; it is the parents who have made this decision in the best interest of everyone. As parents, you also play a vital role in showing your children what telling the truth looks like. This is another parenting area parents often struggle with. Here’s Dr. Gadhia-Smith’s practical advice. If your child tells lies repeatedly and you want to help him or her to change the behavior, what should you do? This might be especially difficult if you’ve been caught in lies and the kids know it. News today is often brutal, graphic and distorted. Parents often need help about telling the truth to their kids about they see and hear in the media. Dr. Gadhia-Smith says that parents shouldn’t shield their kids from the news, in general, but they shouldn’t go too far in the other direction either. She states that overprotecting children is usually not in the best interest of the child. This entry was posted in Behavior, Lifestyle, Parenting, Truth and tagged children, kids, parenting, parents, telling the truth, truth-telling on September 29, 2016 by 15893608.